Young women are a driving force of the market, especially when it concerns Young Adult (YA) literature. When I think of YA literature, images of screaming fan-girls, Katniss Everdeen with her bow pulled taut, and Barnes & Nobel shelves filled with bright pink binding come to mind. When girls—especially teenage girls—love something, they love hard. Young women are a powerful deciding factor on whether or not something is going to be a hit. One would think that with that power, people would be dying to have girls enjoy their books, that we as a society would strive to give girls access to quality content. Sadly this is often not the case. More often than not, girls are picked on for what they chose to love and have their lead female characters diminished to nothing more than one side of a love triangle. As a woman I am no stranger to these circumstances and think often about the presence of the female reader. This past summer I had the pleasure of reading a great deal of YA literature and re-familiarized myself, after a brief hiatus, with the genre. There were times where I felt self-conscious about my summer reading, as if I should be spending time with more scholarly books because I was a college senior. Thankfully, I did not succumb to these worries and found myself enjoying old favorites and checking books off my ever growing “to read” list. I even found my current obsession: The Raven Cycle by Maggie Stiefvater. An urban fantasy series, The Raven Cycle’s unique plot, its proud feminist protagonist and representation of characters from the LGBTQ community, offer something new and appropriate for this era of readers. The Raven Cycle’s strong online presence is an example of female fans’ love for the book, showing its power. It reminds me of interacting with Harry Potter fans online when the books were still being published. With the help of the Internet, readers can establish a community and make connections with people who enjoy the same tastes. A bond formed over a book can lead to a long and fulfilling friendship. It did for me many times. As I said before, not all novels being read by girls are of the best literary quality. Like so many others, I, too, read Twilight when I was in middle school. It was one of the books that I bonded over with many friends, but as we progressed at school, so did our literary tastes. We became aware of all Twilight’s faults from a literary and craft perspective: bad writing, a bland plot with weak characters, and lazy editing. What we were lucky to learn outside of the classroom was the harmful stereotypes Twilight perpetuated such as a lead protagonist who completely loses her identity to an abusive relationship. These sort of controlling romantic lead characters always seem to pop-up in YA books and young women have a tendency to idolize them and their actions. Watching someone sleep while they are unaware of your presence is not sweet; it’s stalking. I was upset to come to the realization that many of the books I had enjoyed throughout the past eight years featured these sorts of characters. What’s more, I noticed a pattern of subtle gas lighting, a form of mental abuse and power play of the female protagonist by their male counterparts. While it is completely up to the reader to read what she wants and decide what she is going to take from it, the amount of books on the market that highlight these sorts of behaviors is concerning and could be seen as contributing to problematic ideas about relationships among young people. But there are also popular YA books that I’m happy to know young women are reading. 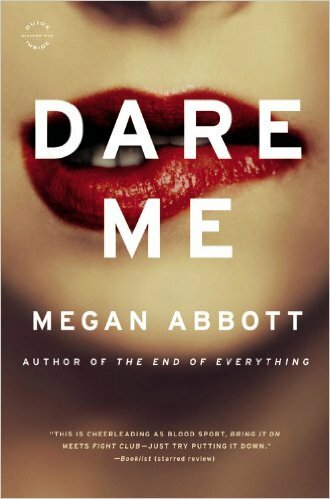 Dare Me by Megan Abbott is another one of my favorites from this summer and made me so excited to be a writer. Centered at the heart of a high school cheerleading team, Dare Me has at its center a protagonist who has big goals and will stop at nothing to achieve them. The novel has complex characters and explores the hierarchical society of high school and how young girls must navigate and survive the experience. A novel with almost no male characters, it chooses instead to focus mainly on the different relationships and power structures of the female characters. Just as with The Raven Cycle, Dare Me also has a storyline that includes an LGBTQ relationship, which excited me to no end. To see oneself represented well in a popular book is so important. Young women need this sort of representation in the books they read, to show that they are complex and important and worthy of a story. The summer has now ended but my enthusiasm for YA literature hasn’t. As I write this I’m eagerly awaiting the final book in The Raven Cycle to be released. The writing and content of Dare Me is a constant inspiration for my own story telling and I talk to anyone who will listen about the hardships of young women and their passions. Looking back on my high school career, so many of the books I read caused me to grow into the person I am today and the books I read here on out will continue to do so. I’m thankful I read so much YA lit this summer. As a female reader, I got to experience strong well-developed female characters that I can identify with and whom inspire me to write stories. I wrote a piece for Italics Mine’s website. Check it out!